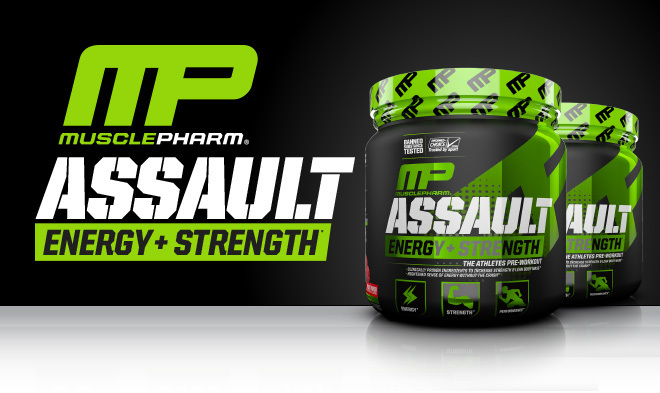 MusclePharm Assault Strawberry Ice Flavour Extra discount Rs. 430. There will be no difference in taste or results. bought the solidified pre workout. at first i thought i made a mistake because it looks very very hard. But i used a fork and started peeling out the product and when i used it, it tasted just fine and the pump was amazing as always. as mentioned by the company, if you are ok with a hard product then you can buy it. results will be good only. Mix one scoop of Assault ; in 8-10oz (100-200mL) of chilled water. Take on training days 15-20 minutes before workout. For maximum results, take an additional serving during workout.